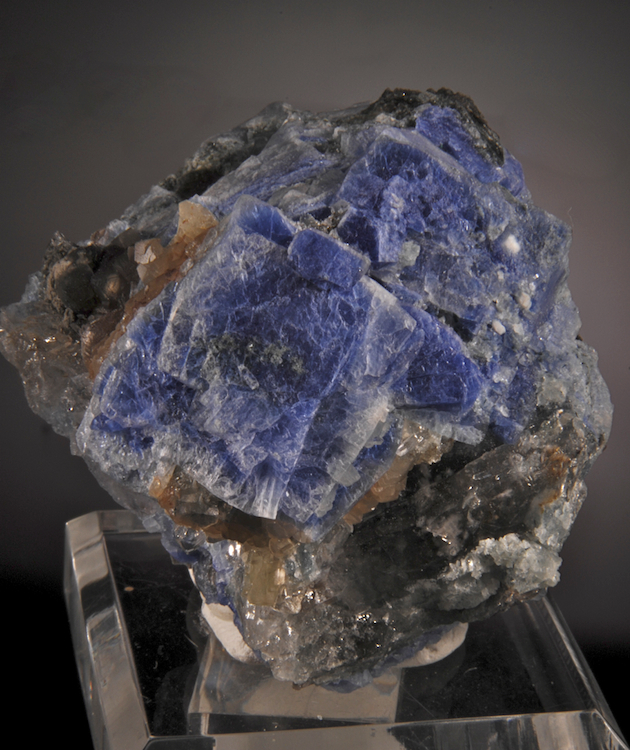 Carletonite -Very well crystallized, intense blue. 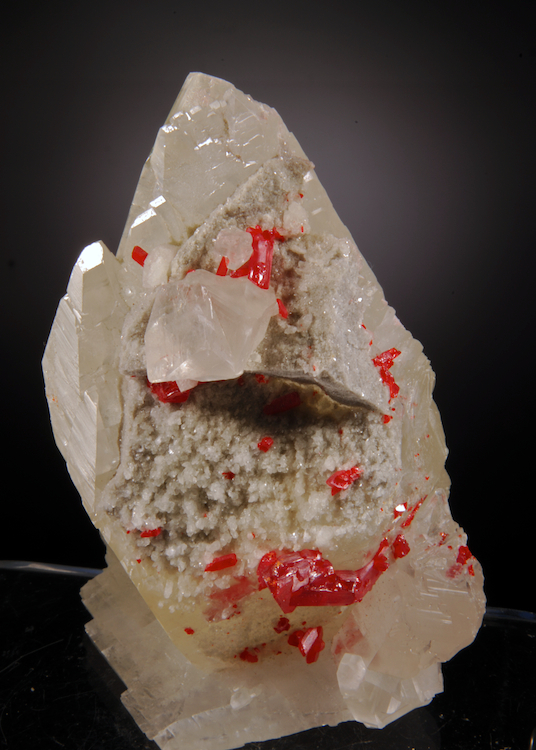 Carletonite is one of the most desired of Canadian minerals and it is incredibly rare, it ONLY occurs at Mt St. Hillaire which is also the type locality. This is an even more rare cabinet specimen with great esthetics. None has been found for years, and the original find was mostly thumbnail sized crystals or larger cleavage pieces. There were never many cabinet sized specimens and these are now only very rarely for sale. 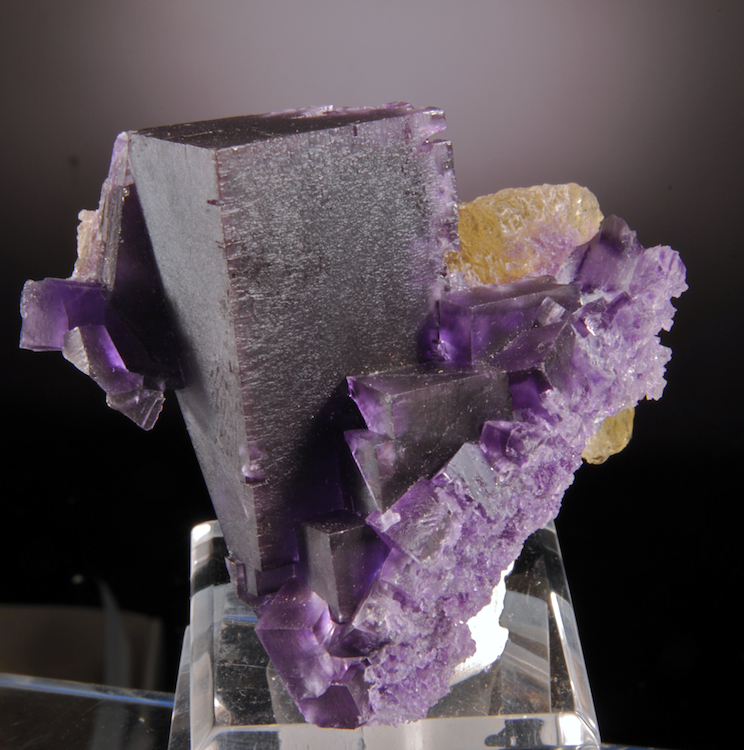 This has crystals to 3 CM (huge for the specie) with rich color and some distinct zoning. The condition is quite good with the typically crude cubes nicely contrasting with the matrix. 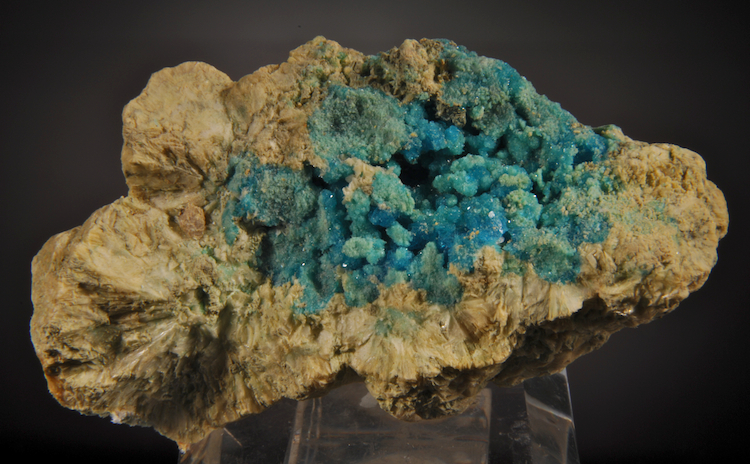 For any good collection this is a very eyecatching specimen of a significant, rare mineral. 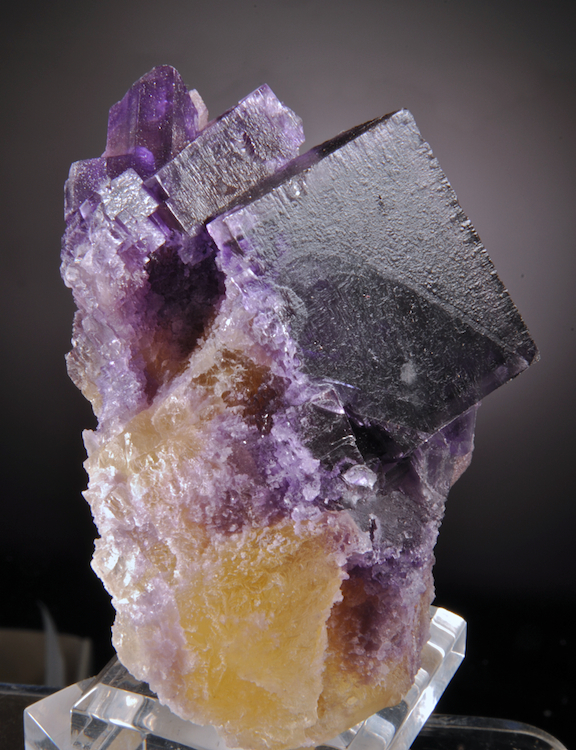 We all miss the great Fluorites that were once common when the southern Illinois mines were still open. At last something NEW from the region! This little known Hardin County Fluorite locale (the junction area of the Victory and the Crystal Mine) recently produced a very few nice specimens for a small collector team. 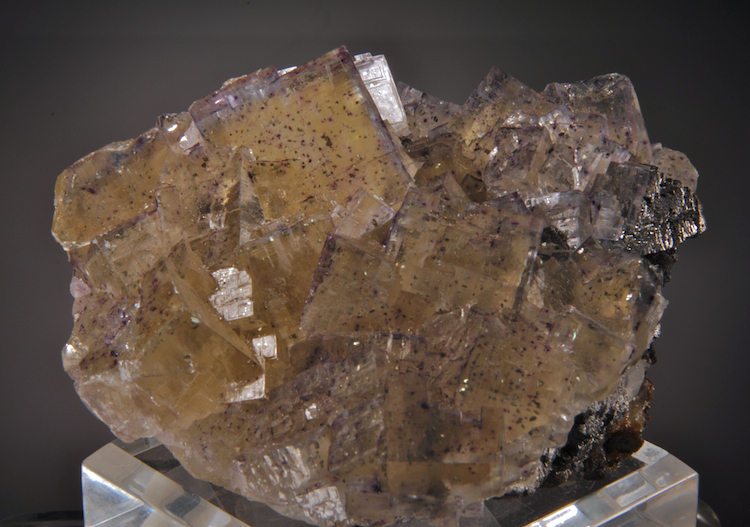 This is a particularly fine example of the distinctive habit, it has a main elongated crystal with very sharp edges resting on a jumble of smaller etched yet sharp crystals all having the same yellow core. Dark purple color that shows clear phantoms when backlit. Fine condition, displays well and an uncommon locale. 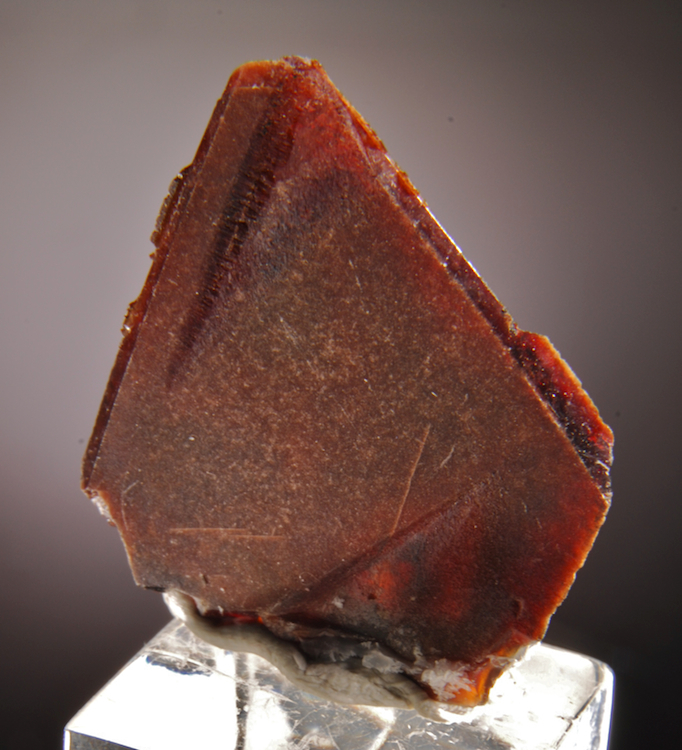 Most "very Rare" minerals tend to be very tiny and very drab. 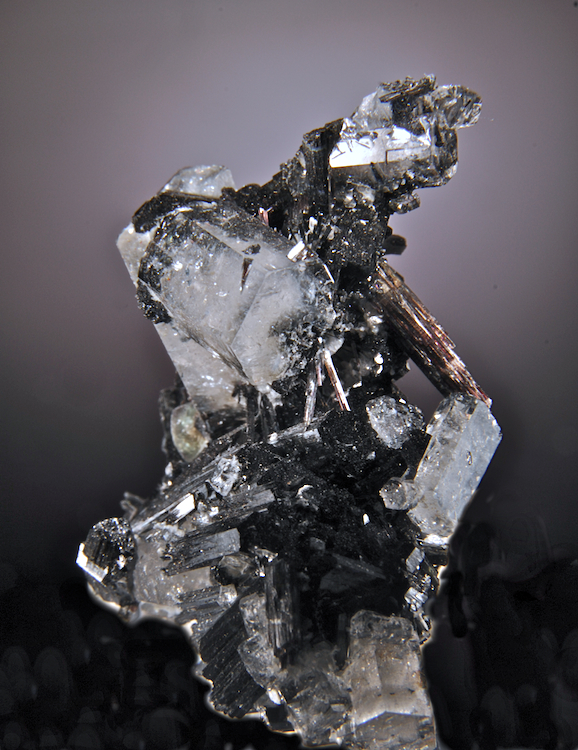 This is an exception with bright blue sparkling masses of well formed crystals mixed with platy white Arsenolite crystals. This is similar to Chalcanthite but it has 7 H2O included making it "fully hydrated". This was part of the Ruth and Andy Palmer species research collection and was studied by Joe Mandarino. Almost never seen for sale and an exceptional example!